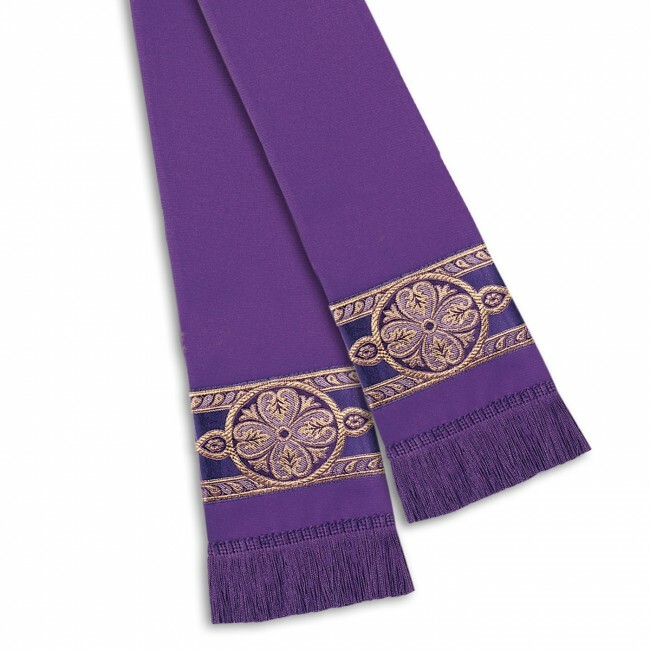 This traditionally styled clergy stole is tailored in Pavillion and accented with borders of imported Paisley Trim and Fleur Banding. 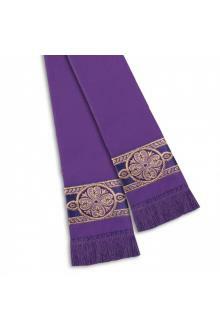 This stole tapers at the neck and is self lined and interlined. Approximately 89" long including matching 2" soft brush fringe. Individually gift boxed.